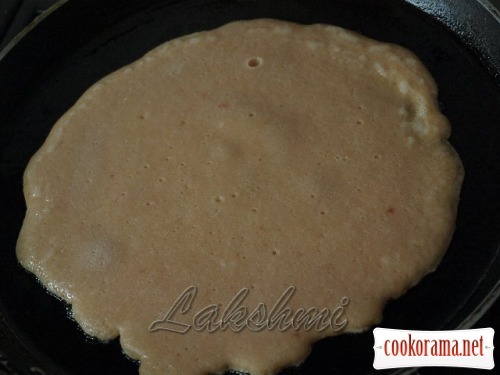 Stunningly delicious pancakes that can become a full breakfast. Well, if to cook meat stuffing, then you are fed all day! And how simply are they cooked! 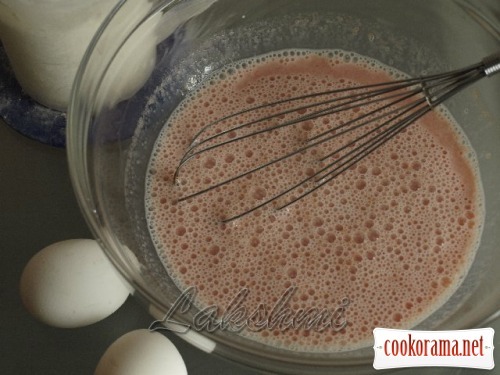 Stir milk with tomato juice and add sugar and salt. Whisk well. 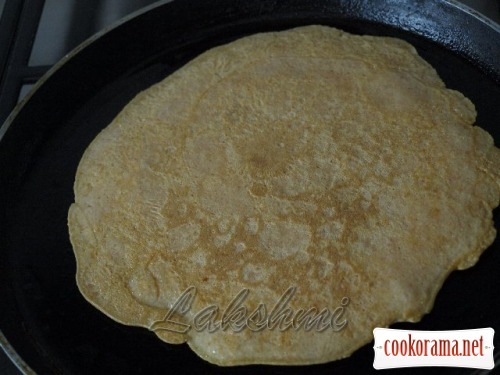 Gradually add flour and stir. 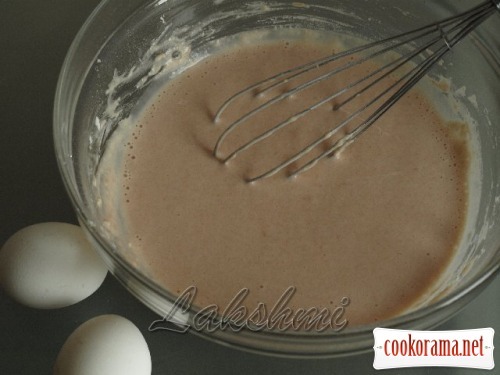 Mix 2 eggs separately. 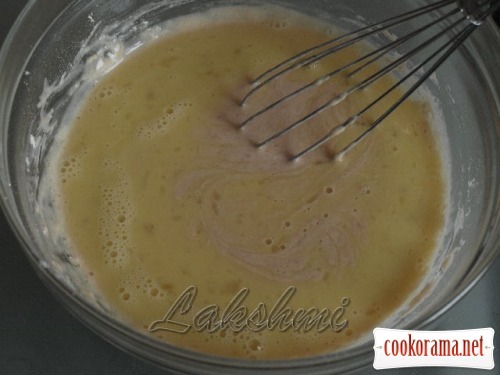 Add them in mixture and stir till smooth mass. Heat pan well, add some oil (before 1st pancake) and start to fry. 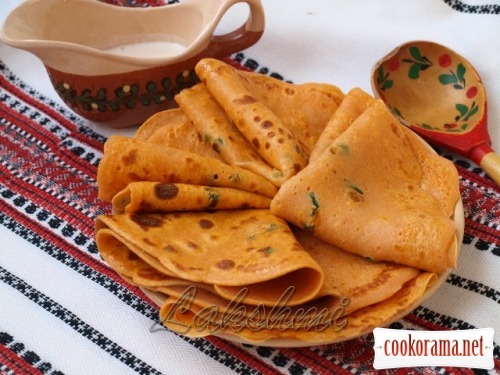 Fry pancakes from both sides. Such sunny they turn out. 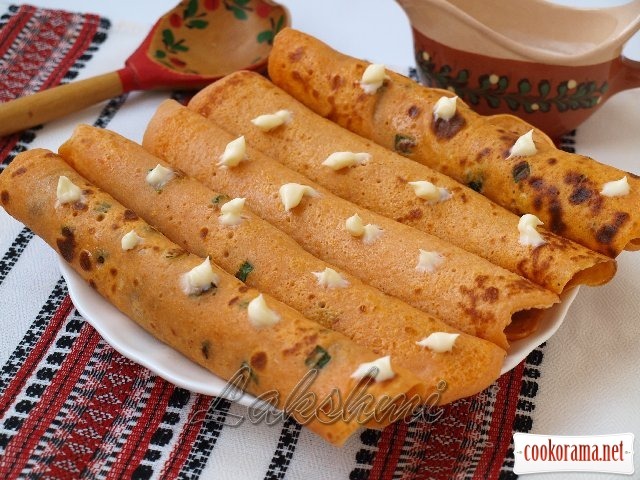 Just serve them with sour cream – taste is incredible. You can also prepare with stuffing: I used minced boiled pork liver and fried onion. I smeared pancakes with this stuffing, fold in tubes. 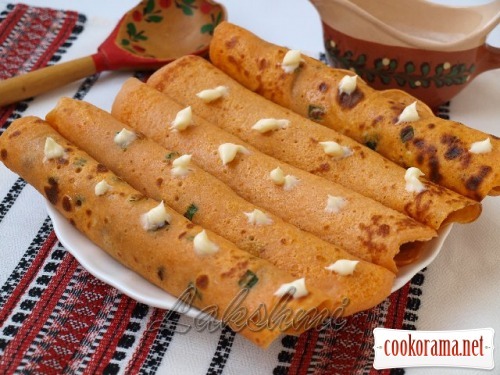 Top of recipe "Tomato pancakes"